Fred bought his costume online and decided to go for the deluxe which was way better than the regular costumes, but I made mine from an old Roman toga costume I had from last year. 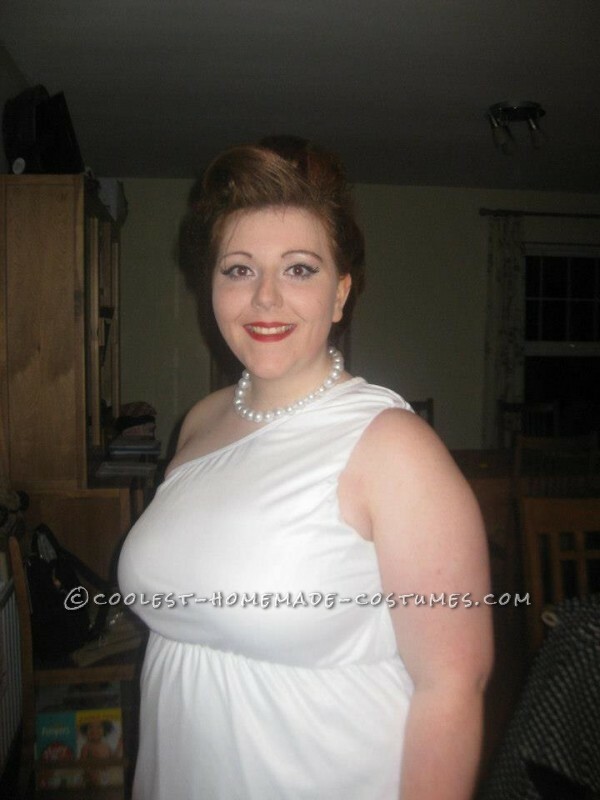 I cut the end of the dress into rough V’s which gave the look and bought some cheap pearls in the Pound shop. I backcombed my hair into a messy high bun with a curl at the front and bought some red red lipstick. 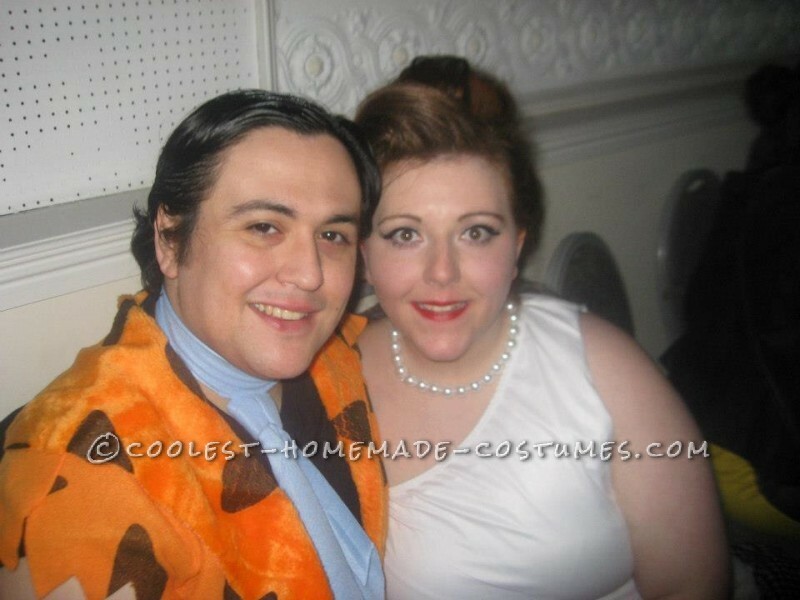 Overall we both loved the Wilma, Pebbles and Fred Flintstone costumes and had people telling us how great we looked and taking our pictures all night. Would recommend to anyone to dress up as Fred and Wilma because they are iconic characters and its a lovely idea for a couple to do. 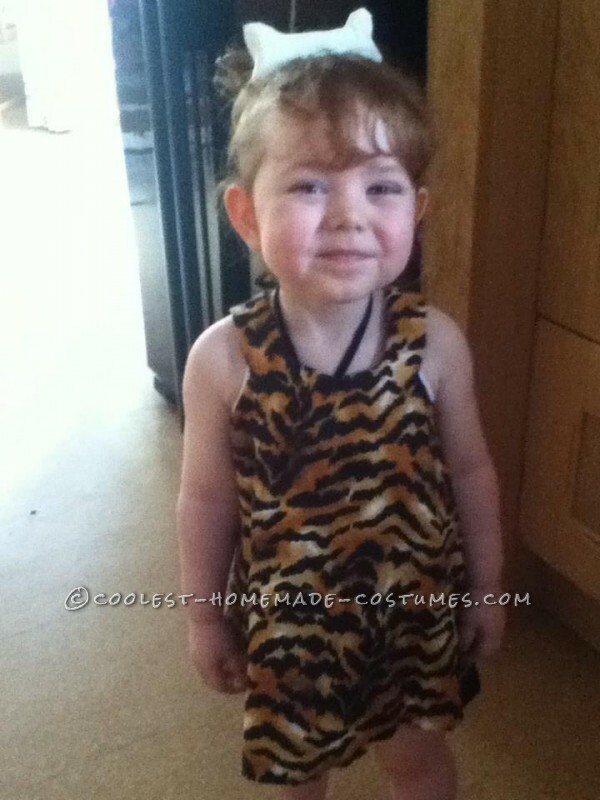 Our little girl dressed up as Pebbles too so we were a complete package for the Flintstones team. All that was missing was Dino the dog!